Micro-audio recordings of lamps by Absolute Value of Noise © 2004. This work is inspired by a clear gray-tint light bulb from the 1960's that I found in a corner in my basement. It is in itself a living sound piece. It plays an endless variation of buzzes and drifting static. I'm interested in the idea that an object normally associated with vision also contains a landscape of sound on the micro-audio level. It is interesting to alter the normal 'sense memory' that people associate with different objects. Taking a 'silent' object and translating or magnifying it into the audio realm creates a world of synaesthesia or mixing of sensory interpretations. 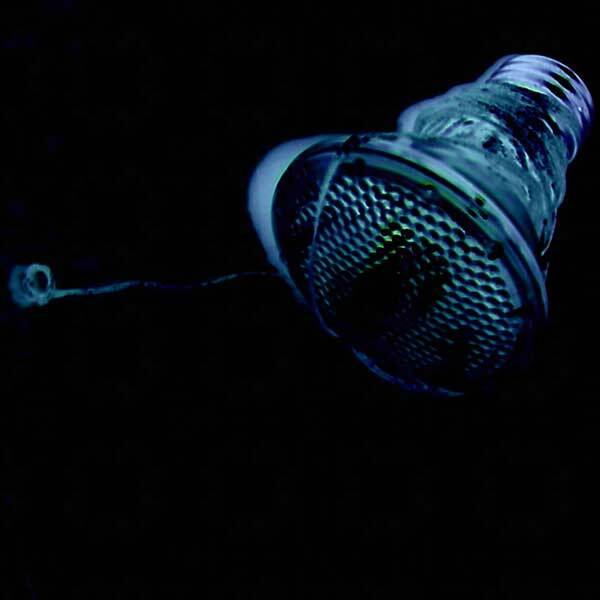 Light Bulb is a series of recordings of very quiet objects. The recordings were made by placing the objects in a small sound isolation box - a box that allows for extreme amplifiaction of what's inside and at the same time is portable for use on stage in a live performance. 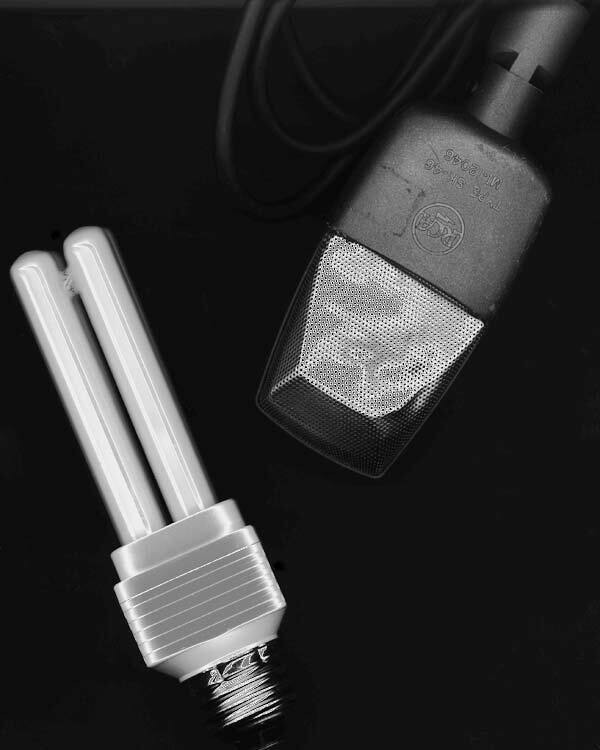 RCA ribbon mic and old CFL lamp. Halogen and wire coil pickup. "I imagine a tunnel - about 15 feet wide and 80 feet long. It stretches underneath a building. The walls are brick and sand stone. The ceiling is laced with electrical conduit and plumbing pipes that run through the building above. From this lattice hang light bulbs of different kinds - halogen, tungsten, fluorescent. Each bulb makes a sound. Some of these sounds are loud and piercing. Some are almost silent, picked up by contact microphones and magnetic coils; they are amplified and fed back into the space through speakers on the ground.